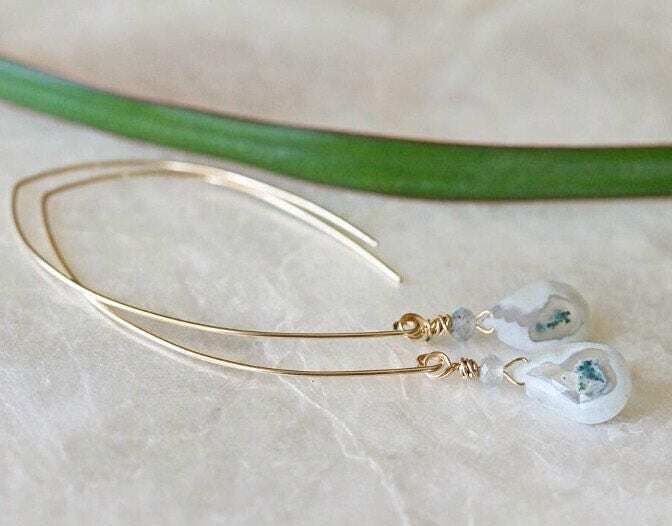 Simple, yet stunning solar quartz briolette open hoop earring are available in sterling silver or 14k gold filled. 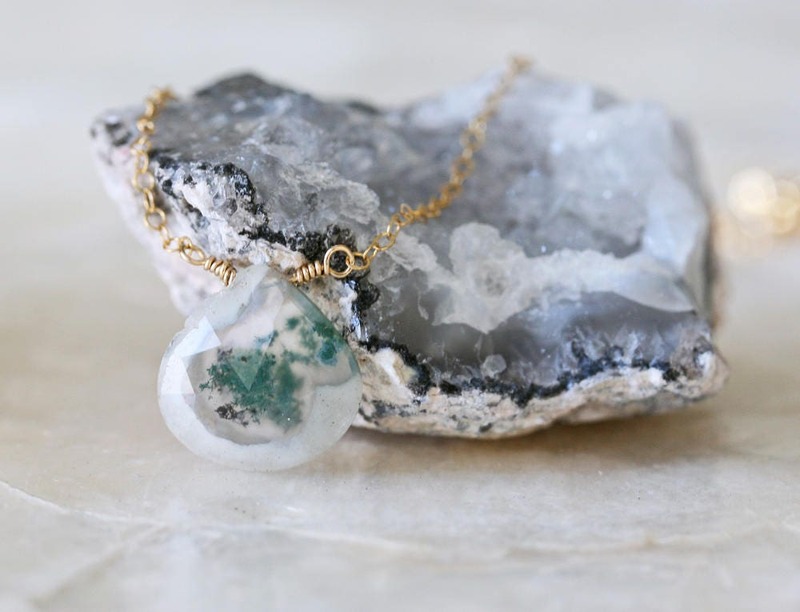 Each quartz briolette has lovely moss like inclusions making them all unique and mesmerizing to gaze upon. Each one is like nature's art on your ears. 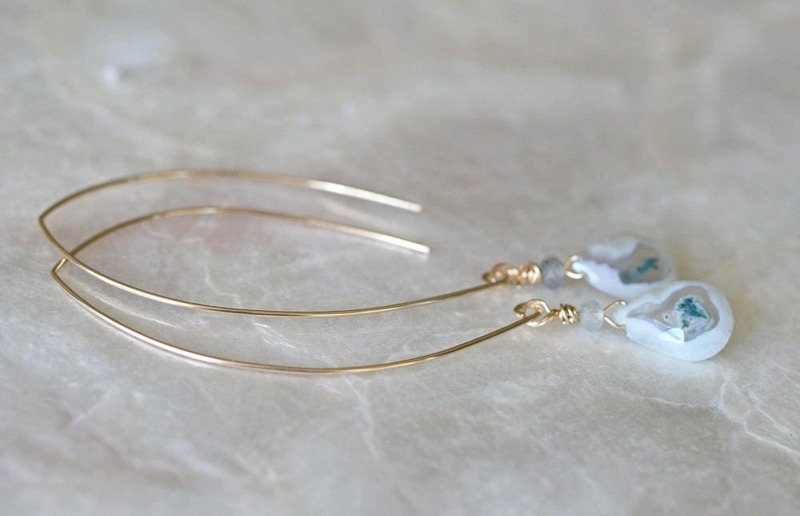 These incredible solar quartz briolettes are finished with blue flash labradorite. 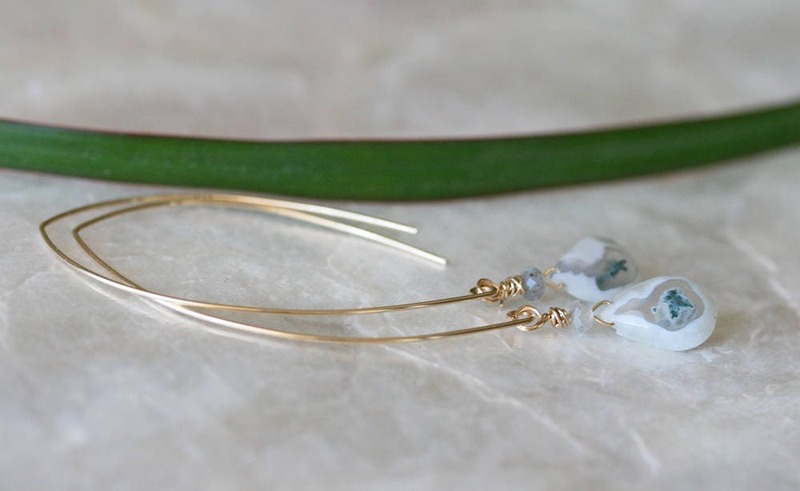 The labradorite is a very light, soft grey so as not to over power the beauty of the briolette focal. 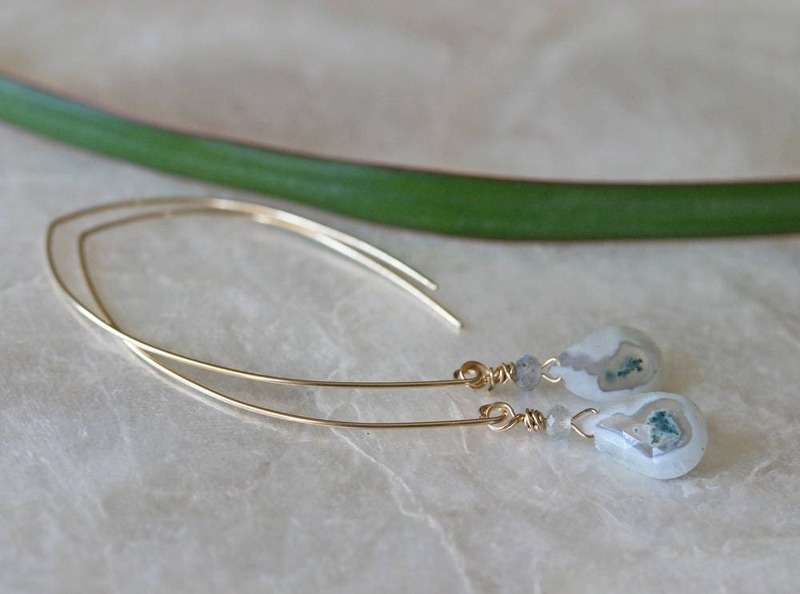 The ear wires are crafted in an open hoop style. When worn, they look like hoops with a dangle at the bottom. 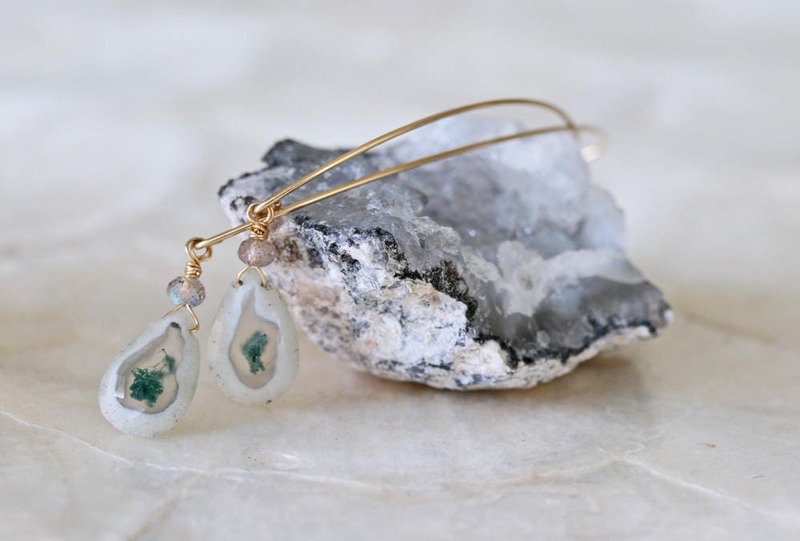 The earrings are easy to wear and put on, light on your ears and a great conversation piece when you wear them. * Earring length from earlobe to bottom of the briolette is approximately 2 3/4 inch. * Length can be made shorter or longer. Send me a message should you like another length. 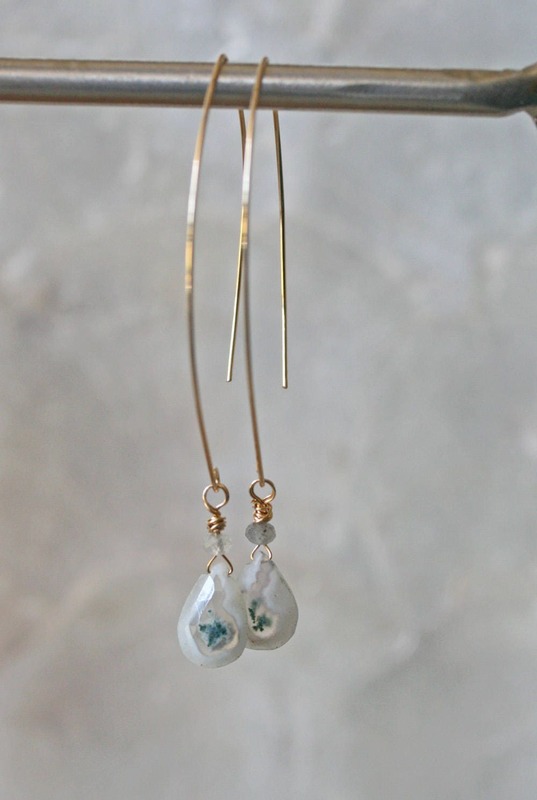 * Earrings are available in Sterling Silver AND 14k Gold Filed. Please choose your variation in the drop down menu. * Earrings in photo have been sold but yours will be just as lovely. 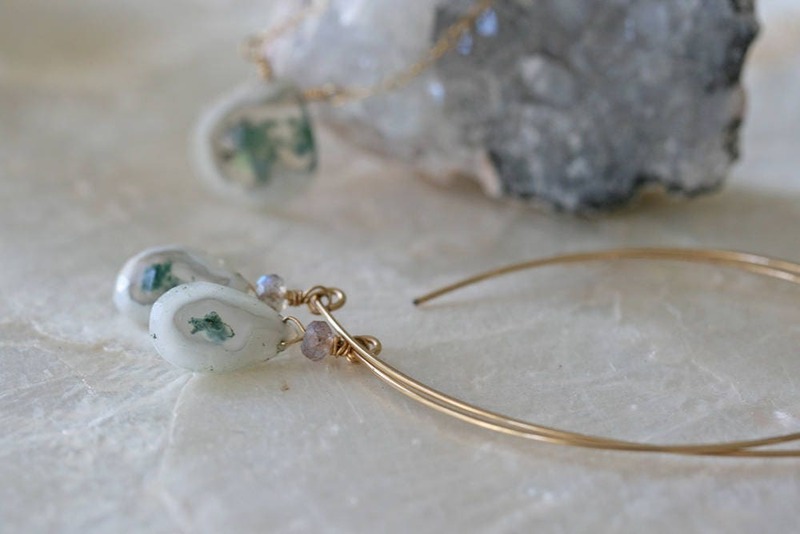 This stone can also be made into a threader style or simple ear wires. Please contact me for customizations. 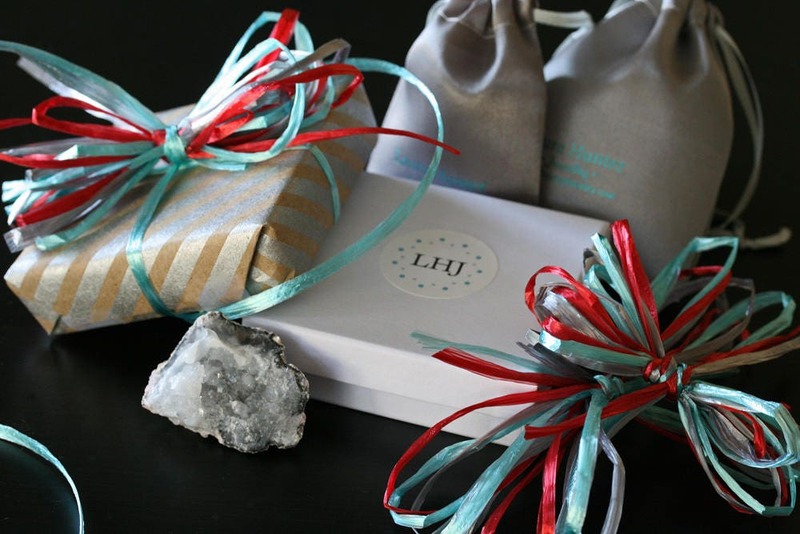 Thank you for visiting Laura Hunter Jewelry on Etsy.